Client: Miami-Dade Parks, Recreation and Open Spaces, Miami, Fla. 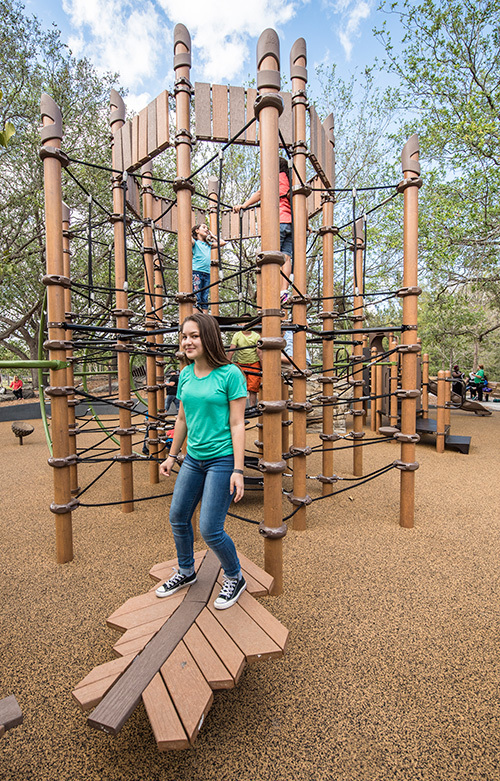 Solution: To create a nature-inspired play experience, the posts of the Netplex™ and PlayBooster® playground structures are custom printed to look like tree bark and recycled wood-grain lumber panels were used. Custom oak leaf balance boards, mushroom steppers and a log balance beam enhance the nature play theme and deliver challenge disguised as fun. 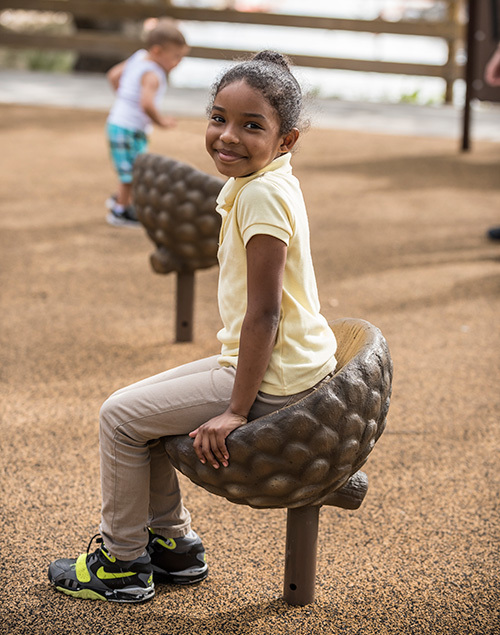 In addition to the play environment, Karen renovated the grade separation to be a concrete gravity wall that she envisioned as a balance beam for children as well as a resting area for visitors. 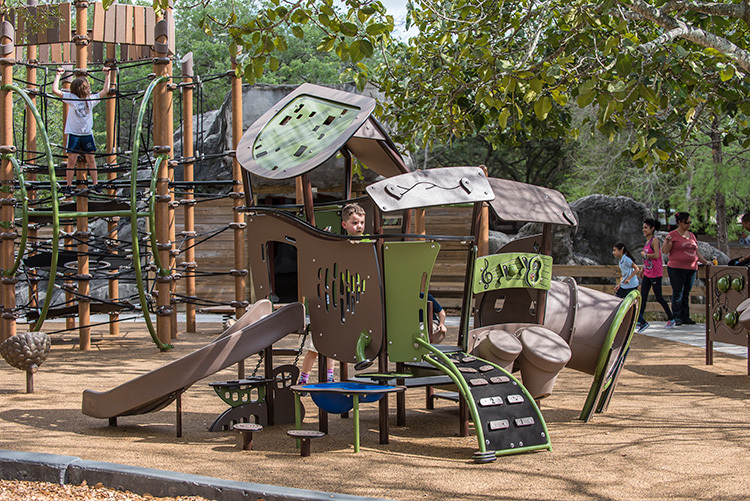 Visit playlsi.com to read more about how Karen and the Miami-Dade Parks, Recreation and Open Spaces department designed a prescription for nature deficit at Tom Sawyer Island at Amelia Earhart Park, and watch the video below.